Life is Sweet ... Berries! 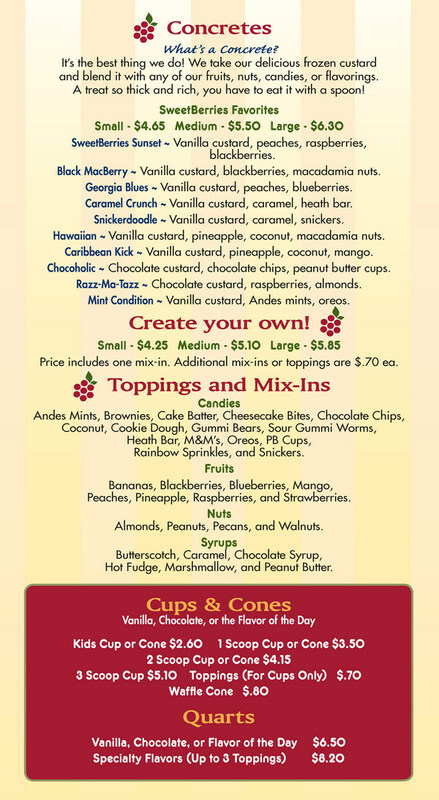 You can also view this menu as a printable pdf file. 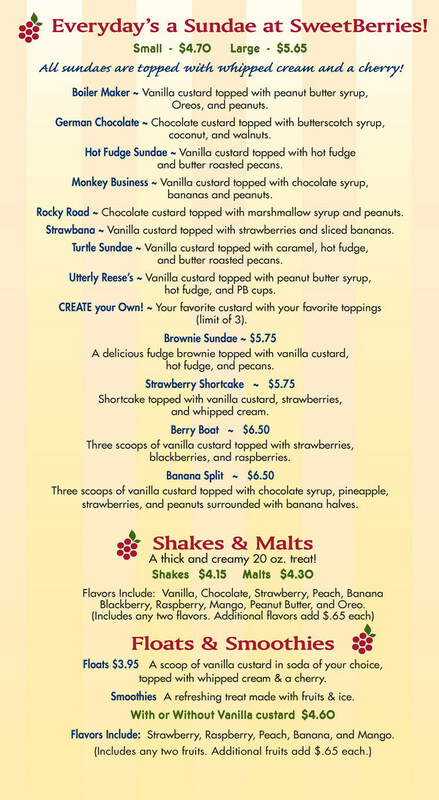 SweetBerries Eatery & Frozen Custard © 2019.